“Timothy will play for the national team in the next two qualifying games. 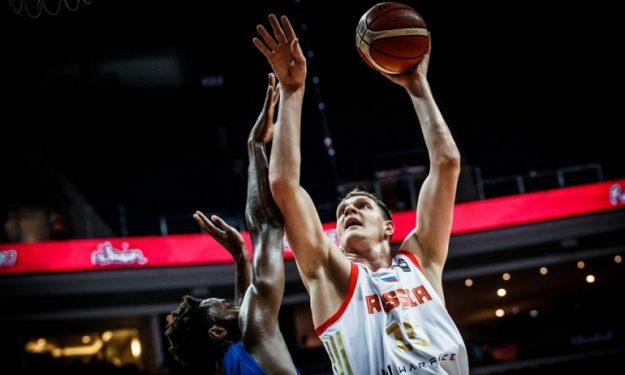 He already spoke with the head coach of the team Sergey Bazarevich, and I informed the Brooklyn management about our plans.”, Mozgov’s agent, Stanislav Ryzhov, told Izvestia. “We talked with Timofei three weeks ago, and he confirmed that he wants to play for the national team and will try to be in good shape. He trained a lot in the US at the end of the season and continued it after returning to Russia. It is clear that it will not be easy for him to enter the game rhythm. This season, he rarely entered the court for Brooklyn and, knowing Mozgov, I can say that he needs some time to get back into shape. It will not be easy to do this. Before the matches with Belgium and France, we have only one friendly game with Latvia. Nevertheless, we are counting on our main center.”, the coach explained. Russia is scheduled to play against Belgium on 29th of June in Antwerp and France on 2nd of July in Krasnodar. The squad is in a good position as they are second-placed in group E and have a better score in the matches against the third-placed Bosnia.